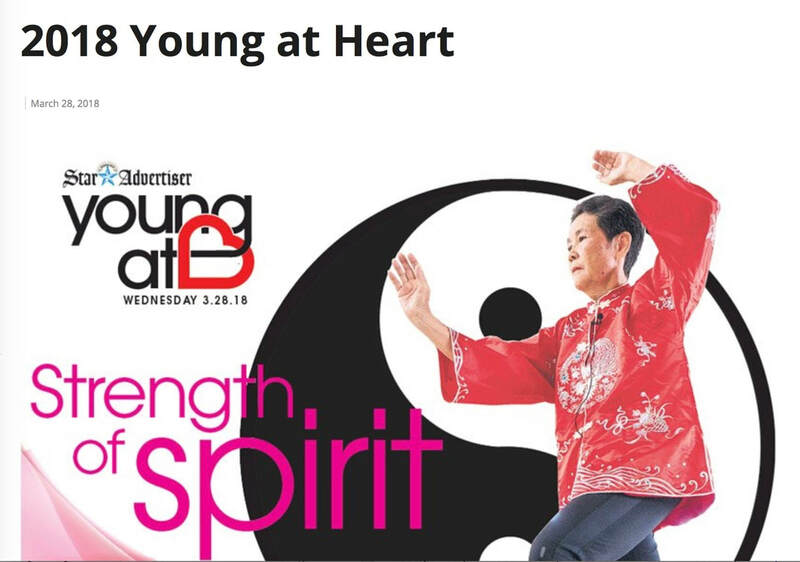 Click here to read the full article of Star Advertiser special, Young at Heart, Strength of Spirit article by Cheryl Chee Tsutsumi. To read another version of Young at Heart, Strength of Spirit on lucy click here. 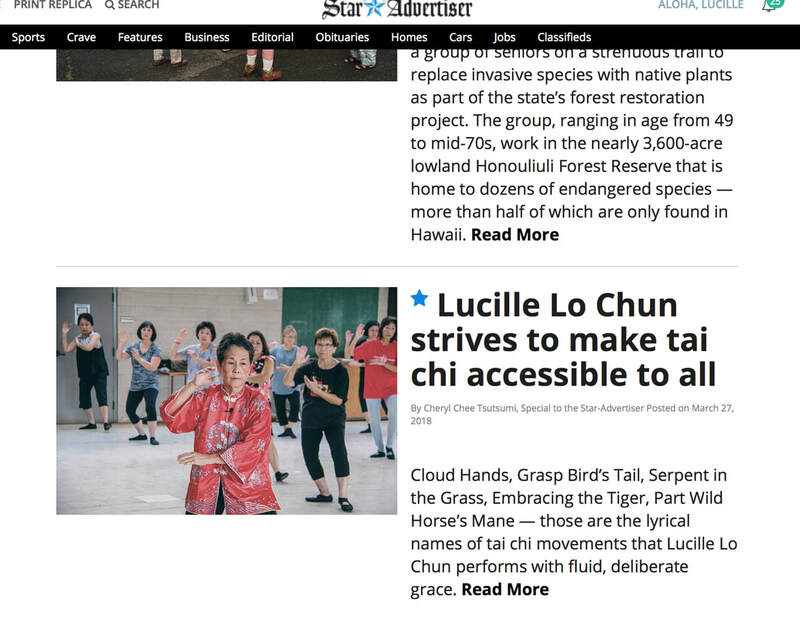 Cloud Hands, Grasp Bird’s Tail, Serpent in the Grass, Embracing the Tiger, Part Wild Horse’s Mane — those are the lyrical names of tai chi movements that Lucille Lo Chun performs with fluid, deliberate grace. Chun and her husband, Dr. Kenneal Chun, 73, a retired physician, began delving into tai chi in 1997. Their son, Dr. Leslie Chun (vice president, medical staff services/chief quality officer at The Queen’s Medical Center), had completed a four-month stint as a guest lecturer at Kunming Medical University in China’s Yunnan Province that year. While there, he discovered tai chi, and when he returned home he encouraged his parents to try it. Lucille Lo Chun and Kenneal Chun had heard of tai chi but had never seen it being practiced. Interest piqued after listening to their son’s experiences and watching his routines. They tried unsuccessfully to find classes on Oahu at that time. So, Kenneal Chun began watching videos and reading books, periodicals and online articles to learn the basics as he continued his busy medical practice. He had taken kung fu lessons in his youth and saw similarities between that and tai chi. 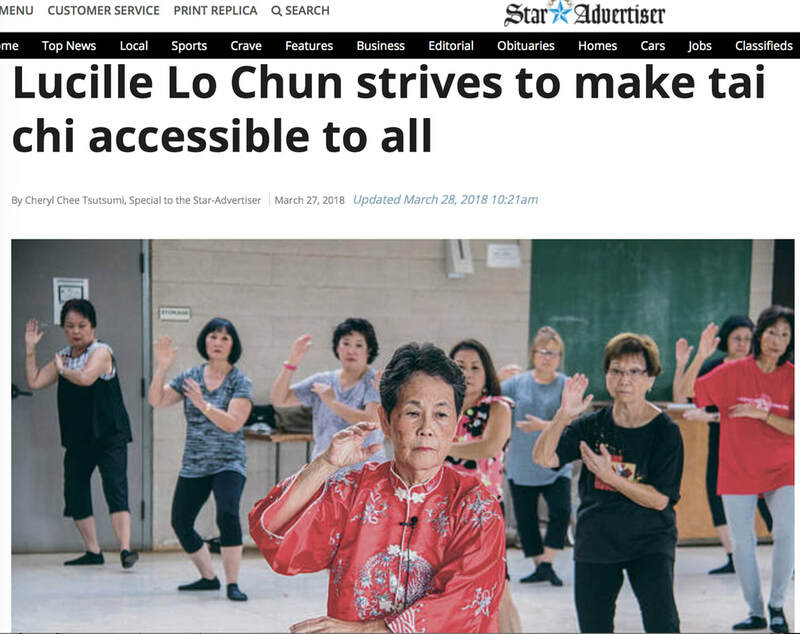 When Lucille Lo Chun retired from teaching elementary school in 2002, she enrolled in a class at Kapaolono Community Park in Kaimuki that was taught by tai chi master Wu Licheng. Kenneal Chun joined her for weekly private lessons with him for five years. When Wu retired in 2007, he asked Lucille Lo Chun to take over as the instructor for his Department of Parks and Recreation classes and she was honored. The Chuns launched their website, everydaytaichi.org, two years later. Today, they teach more than 100 students of all ethnicities and walks of life. Most are seniors; a few are in their mid 90s. Some are visitors who came across their website. And they have a dedicated following of students around the world (including Iran, Greece, Sri Lanka, Sweden and Malaysia) who are learning tai chi via their online videos. 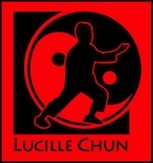 Lucille Lo Chun is the primary instructor. Kenneal Chun is in charge of videotaping the classes, but he also teaches a segment in which he talks about how the art form employs movements for self-defense without weapons. Being able to achieve correct posture and body alignment to maintain balance is one of the key elements of performing tai chi well. It offers numerous health benefits: It can boost energy; build strength and flexibility; and improve circulation, balance, coordination and agility. It is a low-impact exercise that is easy on joints and muscles. Some studies have shown it can lower cholesterol and blood pressure. No equipment is required, maneuvers can be adapted to any fitness level and they can be done indoors or outdoors, solo or with a group. 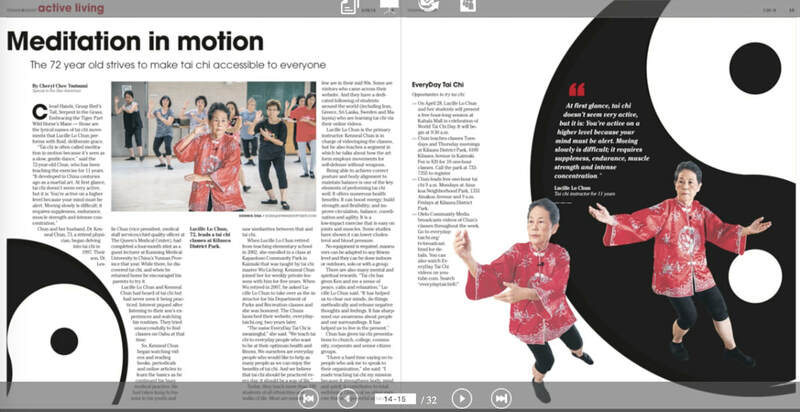 Chun has given tai chi presentations to church, college, community, corporate and senior citizen groups. >> On April 28, Lucille Lo Chun and her students will present a free hour-long session at Kahala Mall in celebration of World Tai Chi Day. It will begin at 9:30 a.m.
>> Chun teaches classes Tuesdays and Thursday mornings at Kilauea District Park, 4109 Kilauea Avenue in Kaimuki. Fee is $20 for 10 one-hour classes. Call the park at 733-7355 to register. >> Chun leads free one-hour tai chi 9 a.m. Mondays at Ainakoa Neighborhood Park, 1331 Ainakoa Avenue and 9 a.m. Fridays at Kilauea District Park. >> Olelo Community Media broadcasts videos of Chun’s classes throughout the week. Click here for details. You can also watch EveryDay Tai Chi videos on YouTube. March 28 at 6:31am · Congratulations to Lucille Lo Chun and her husband Dr. Kenneal Chun whose tai chi shows appear throughout the day on the 'Olelo channels. 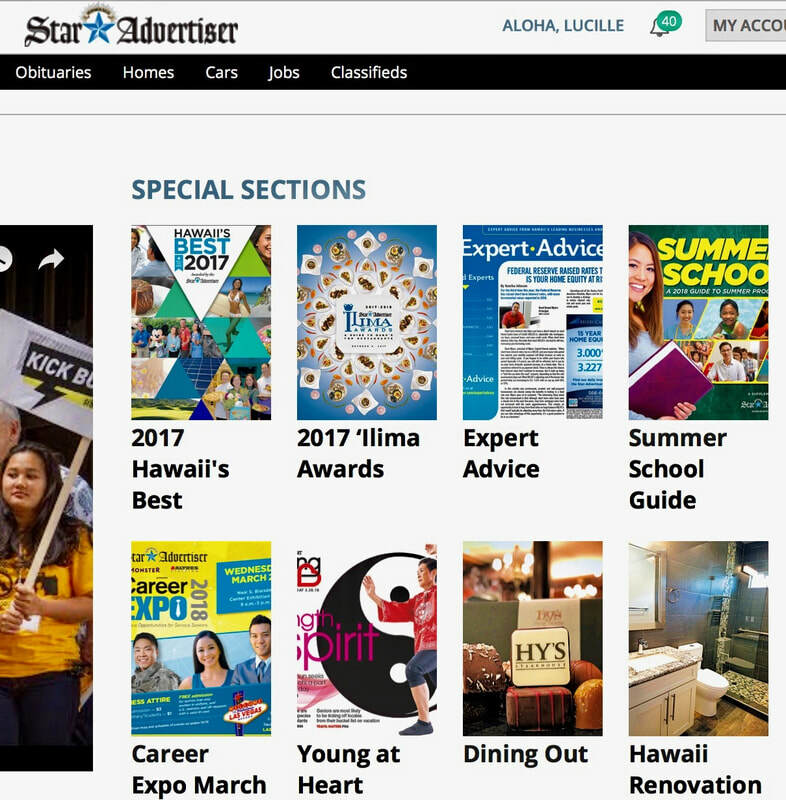 The couple is featured today in the Honolulu Star Advertiser's Young at Heart special section focusing on senior activities and health. Lucie and Dr. Chun are clients of our Kaimuki Media Center. Click here for the FB link.